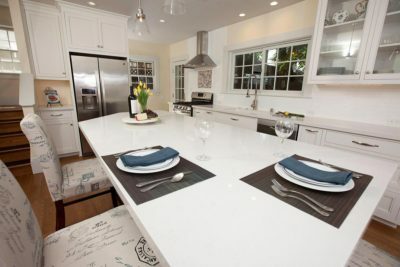 The main focus of this project was that the clients wanted a gathering place for their friends, when they entertain. We took down the wall dividing the dining room from the kitchen and replaced it with an extended island and window seating under a large window, that faces the kitchen. This opened up the kitchen and provide that needed space for their friends to gather. 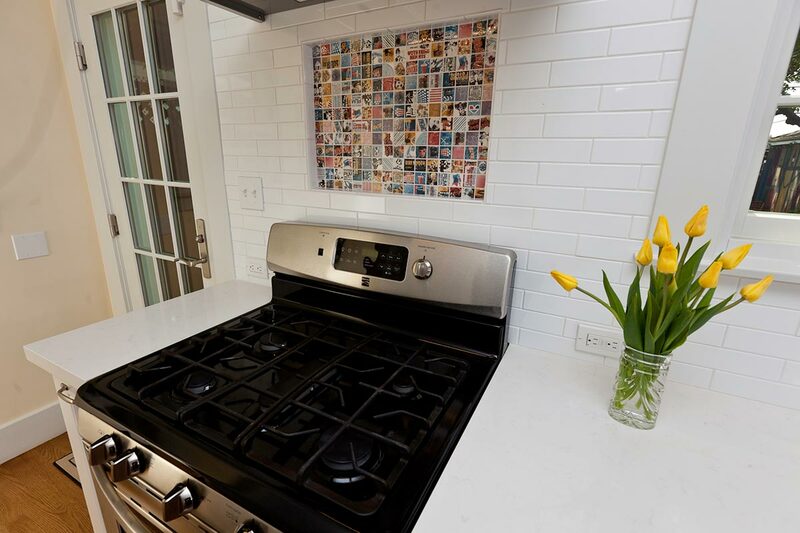 The decorative tile that depicts pictures of old movies and old movie stars they fell in love with and it became a focal point . The blue that is in the tile was duplicated on the island and was carried out in the fabric for the cushions on the window seat. 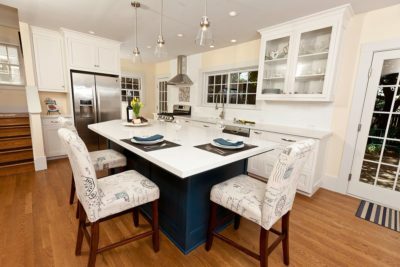 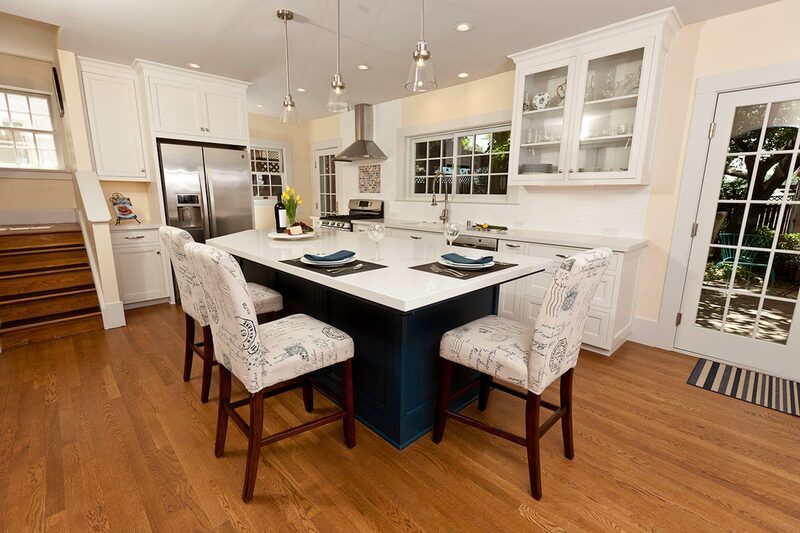 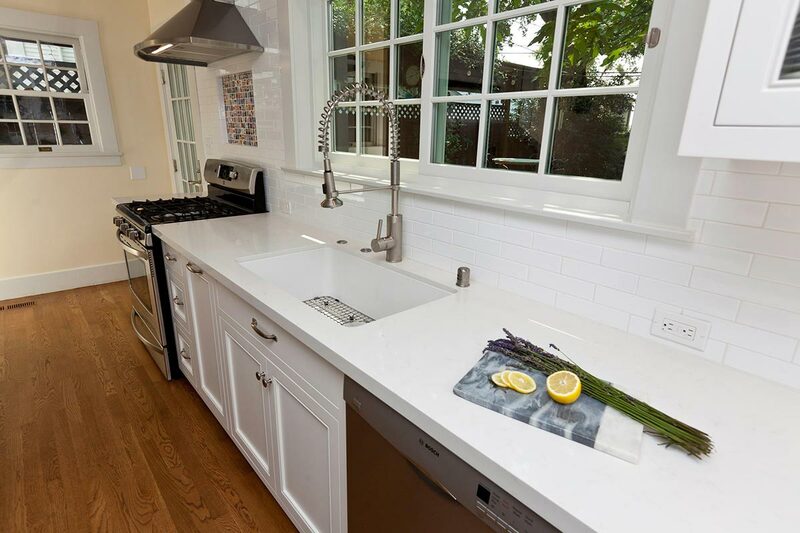 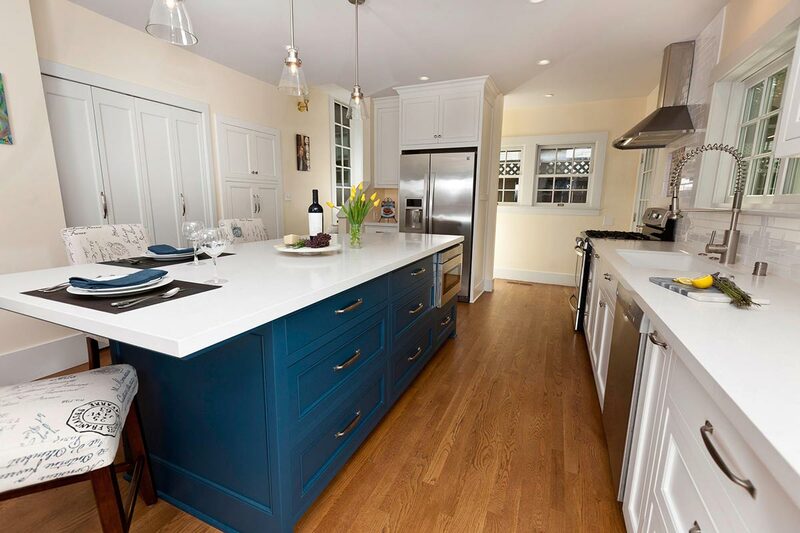 Needed storage was also an issue that was resolved by updating the cabinetry and adding an island thereby allowing us to provide them with more efficient storage. 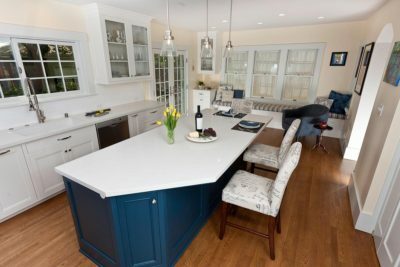 They now have an “open” kitchen where their friends can gather and enjoy fine food and wine in a very inviting atmosphere.